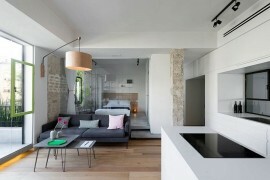 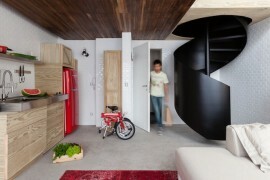 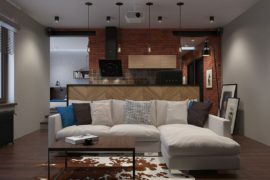 Turning a used apartment with inconvenient contours into a stylish modern hub can be a challenging task. 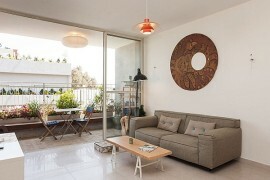 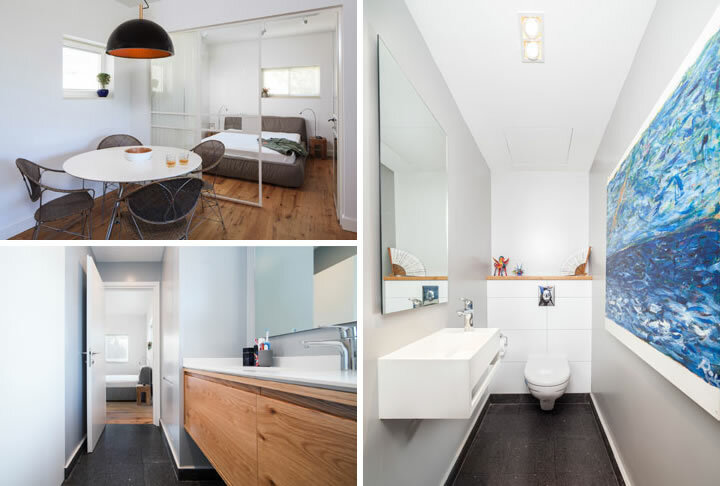 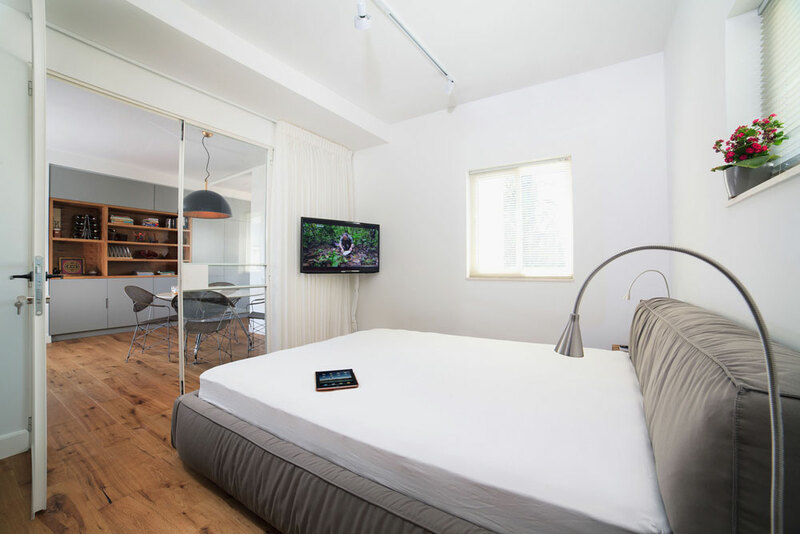 This contemporary bachelor pad that we stumbled upon is located in Tel Aviv and was transformed into its current form after an enthusiastic new owner decided to undertake a serious renovation project. 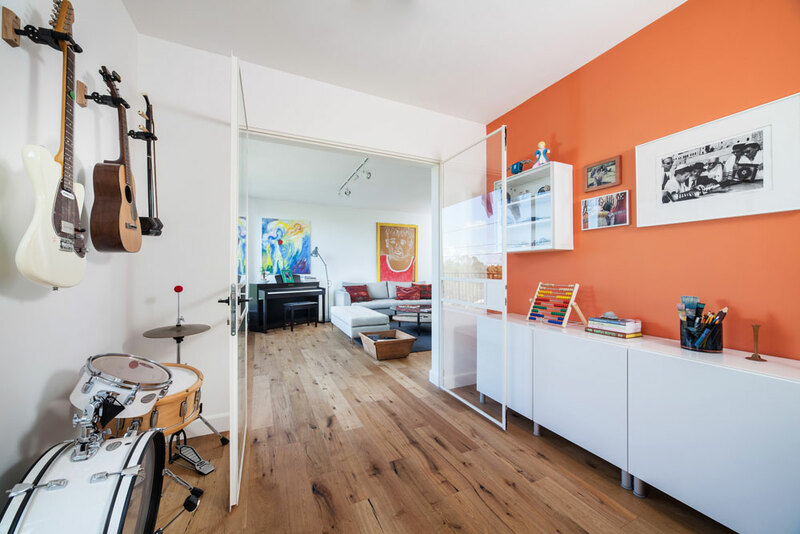 Located right across a lovely park, the apartment sports a lovely neutral color palette even as warm wooden tones and splashes of orange and blue grace the interiors throughout. 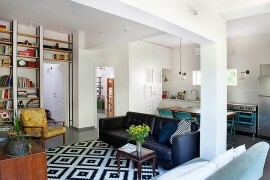 The tenant of the revitalized bachelor pad is a 30 year old doctor who also seems to fancy himself as quite a musician. 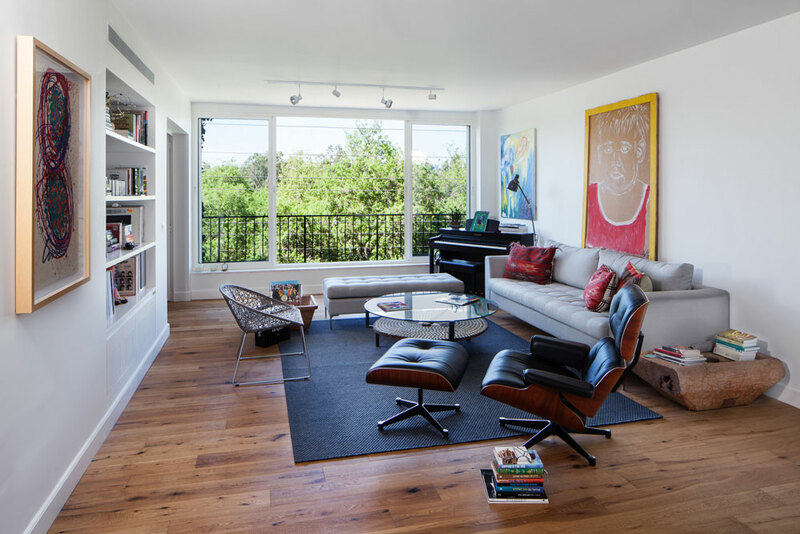 Designer decided to bring out this aspect of the home owner’s personality as an entire room is dedicated to musical endeavors! 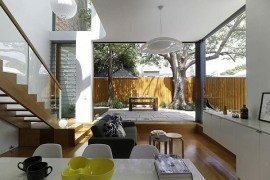 A striking feature of the home is the large sliding glass doors that separate the kitchen and dining area, the living space and the bedroom. 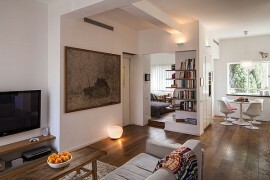 The presence of glass doors ensures constant visual connectivity even as one tucks in for a peaceful and quiet time. 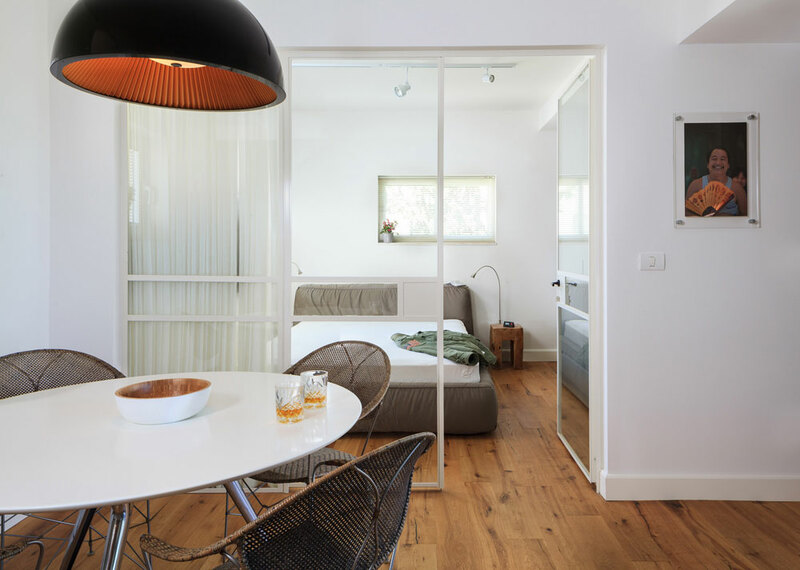 The use of glass doors also helps create a visually larger and more connected space that helps improve the ergonomics of an otherwise small apartment. 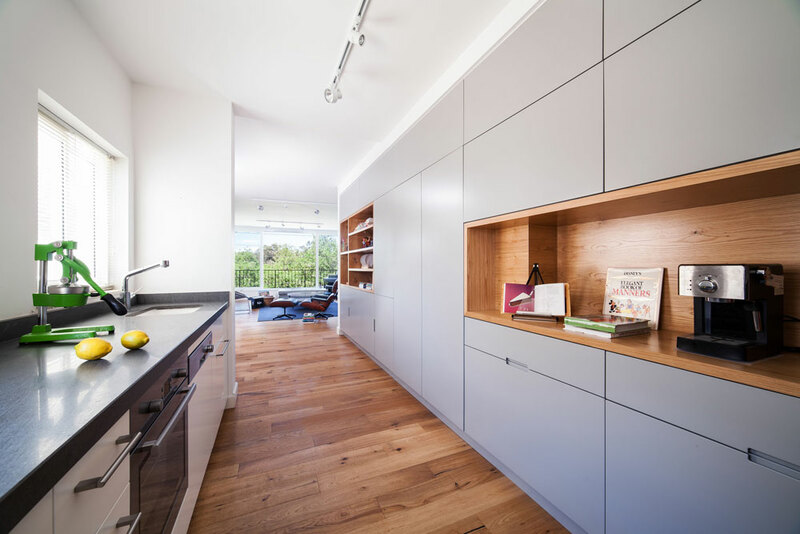 Lovely white walls throughout also help reduce fragmentation of space even as sleek shelves in the narrow kitchen, an L-shaped counter and modern accessories are tucked away effortlessly. 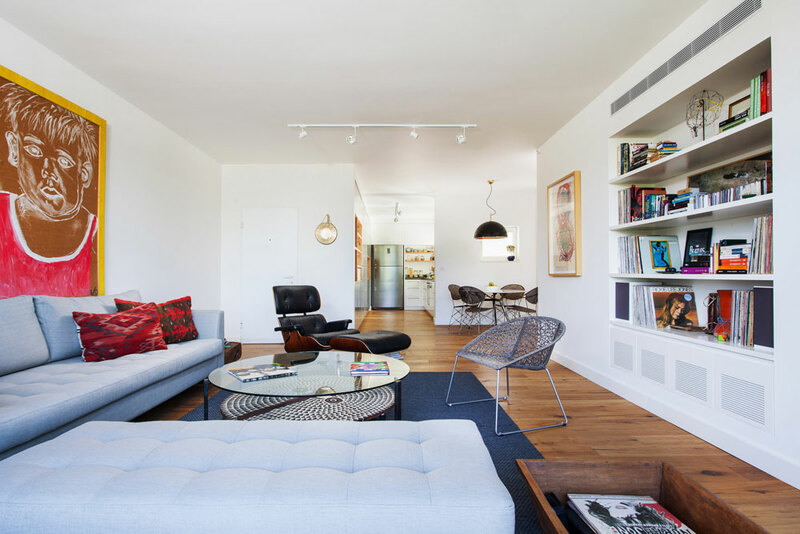 Avoiding clutter and creating more leg room was one of the intents of the revamp and chic furnishings along with iconic décor pieces like the Eames Lounge Chair and Ottoman assist in this regard. 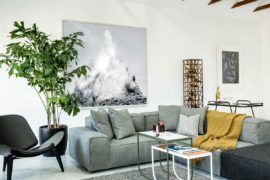 A comfortable bedroom in white and grey, small dining area and vivacious modern art work on the walls complete the apartment. 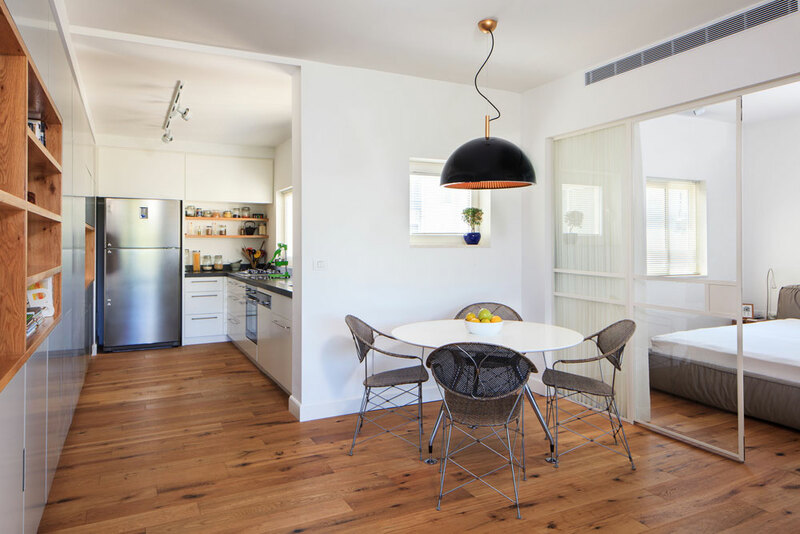 Different sources of lighting in the form of pendant lights, floor lamps and rail lighting combine to offer the right illumination even as the smart use of glass allows for ventilation to seep through from one area into another.